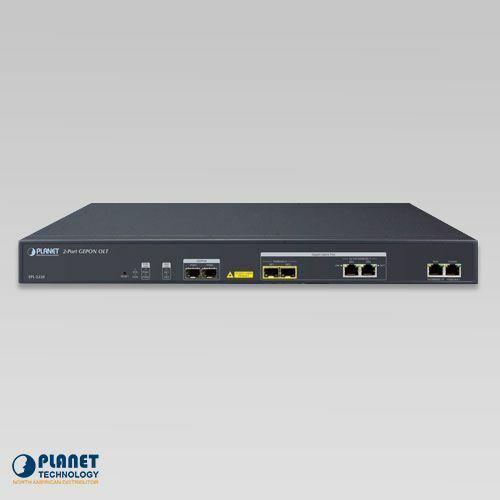 PLANET’s EPL-2220 GEPON Optical Line Terminal (OLT) consists of two GEPON ports, two GbE SFP ports, two GbE RJ45 interfaces and one management port. The EPL-2220, from PLANET Technology, a GEPON Optical Line Terminal (OLT) consists of two GEPON ports, two GbE SFP ports, two GbE RJ45 interfaces and one management port. 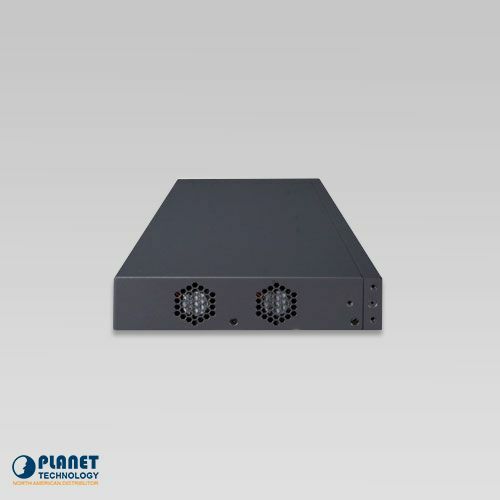 With PLANET GEPON Optical Network Units (ONU), the EPL-2220 can provide highly-effective GEPON solutions and convenient management for broadband networks. The EPL-2220 provides a high bandwidth of up to 1.25Gbps for both upstream and downstream, long-distance coverage of up to 20km between equipment nodes, and flexible network deployment. 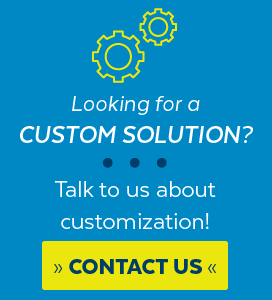 It unit is easy to install and maintaining a GEPON deployment is simple. GEPON is a cost-effective technology with reliable and scalable networks for triple-play service. The demand for broadband is on the rise due to growing network services such as HDTV, IPTV, voice-over-IP (VoIP) and multimedia broadband applications. The present broadband environment has not accommodated these needs; however, Passive Optical Network (PON) would be the most promising NGN (Next Generation Networking) technology to fulfill the demand. The EPL-2220 is an ideal solution for FTTx applications. 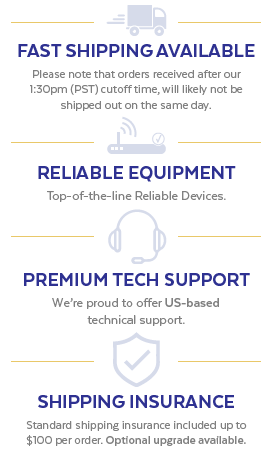 It helps to minimize the investment cost for carriers by offering a high split ratio of 1:64 per port and supporting the usage of PLANET ONUs. The EPL-2220 provides strong functionalities for Ethernet such as VLAN, Multicast, DBA (Dynamic Bandwidth Allocation), and Access Control List. GEPON has a point to multipoint communications protocol based on Gigabit Ethernet. GEPON protocol allows a Gigabit Ethernet communications fiber to be shared by multiple end users using a passive optical splitter. GEPON communication takes place between an Optical Line Terminal (OLT) and multiple Optical Network Units (ONUs). The downstream traffic flows from OLT to ONU, and upstream traffic flows from ONU to OLT. Multi Point Control Protocol (MPCP) is used to arbitrate the channel between the ONUs so that no collisions will occur on the common fiber. For efficient management, the EPL-2220 supports remote management functions. Via its user-friendly GUI utility, the administrators can manage and configure the OLT and ONU equipment on the central side. The GUI utility supports up to 32 EPL-2220 OLTs to be centrally managed through one control screen. The built-in Element Management System (EMS) offers an easy-to-use management and configuration facility to add to or remove PLANET OLTs and ONUs from the network architecture easily and economically. Its flexibility is perfect for deployment among different network architectures. The EPL-2220 also supports standard Simple Network Management Protocol (SNMP) and can be managed via any standard-based management software. 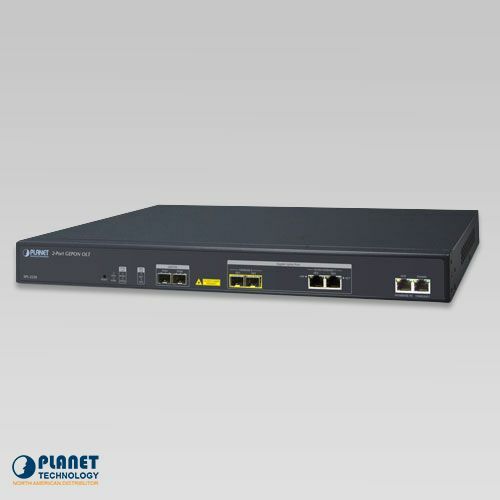 The EPL-2220 supports many operating and monitoring functions for efficient ONU management, such as ONU auto-detection, auto-registration, testing link connection, binding MAC address and filtration, bandwidth control, flow control, and multicast stream control. The EPL-2220 has four uplink ports. The two mini-GBIC slots of the uplink ports of the EPL-2220 are compatible with 1000BASE-SX/LX and WDM SFP (Small Form Factor Pluggable) fiber-optic modules. The distance can be extended from 550 meters (Multi-mode fiber cable) to 10/30/50/70/120 kilometers (Single-mode fiber or WDM fiber cable). They are well suited for FTTx applications to distribute data link.